PokerRankings.org‘s number 1 poker room, Full Tilt Poker has been very busy overhauling their software, setting up new promotions, and even adding the innovative Rush Poker; changes that initially increased the site’s traffic to around 20,000 real money players in January, according to pokerscout.com. However, the online poker giant hasn’t been able to hold on to those players, and despite all of the upgrades and changes Full Tilt’s traffic has dipped back down to 15,000 –right where they were before the changes. On the other side of the coin is Pokerstars. The #1 online poker room has made a few rather minor changes over the same period –nothing along the lines of Full Tilt Poker’s major overhauls—and has managed to increase its traffic even further! According to pokerscout.com’s trends, PokerStars has gone from averaging 25,000 real money players, to 35,000! With smaller poker networks like Cake, Everleaf, and Entraction on the rise the mammoth poker rooms like Full Tilt, PokerStars, and Party Poker need to make sure they keep up woth the promotions these smaller sites are offering. 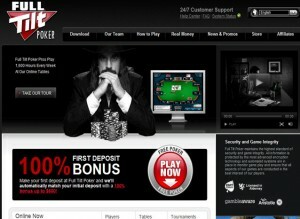 Check out Best Poker Site or Best Full Tilt Bonus if you are looking to download Full Tilt Poker. These two sites offer some of the best Full Tilt Bonuses and Bonus Codes. This entry was posted on Tuesday, February 16th, 2010 at 9:29 am and is filed under Poker Industry News. You can follow any responses to this entry through the RSS 2.0 feed. You can leave a response, or trackback from your own site.